You may not notice that you are experiencing hearing loss because it happens very gradually. For this reason, it is crucial to familiarize yourself with the signs and symptoms of it so you are ready to take action when you do realize it. According to the University of California San Francisco Medical Center, there are three types of hearing losses: sensorineural, conductive, and mixed hearing loss. When the inner-ear nerves become damaged to the point where they cannot properly transmit signals to the brain, permanent hearing loss occurs. The aging process is the most common verdict behind this happening as inner-ear nerves and sensory cells gradually die as we get older. A person suffering from permanent hearing loss typically complains about others mumbling, or that they hear but do not understand exactly what is being said. These disorders can either be permanent or temporary. They result from problems in the middle or outer ear, which prevent sound from reaching the inner ear. People suffering from this condition typically say that voices and sounds appear faint. Many forms of conductive hearing loss can be healed, with surgery being the most typical solution. Some people have a combination of sensorineural and conductive hearing losses. It is often the case that friends or family are the first ones to shed light on a person’s hearing troubles. For example, family members may complain that the radio you are listening to is playing too loudly, while to you it sounds normal. There are many symptoms of mixed hearing loss, however the most common ones are the inability to hear people clearly, frequent requests for clarification or repeats, avoidance of conversations due to fear of asking other to repeat themselves, and fatigue at the end of the day from straining to hear. Since hearing deteriorates with age, it is important to prepare for when it will happen. Hearing insurance covers the cost of hearing-related conditions and hearing aids, which are not covered by most standard health insurance plans. Hearing insurance covers the above-listed hearing losses as well as their numerous symptoms that can result in costly examinations, procedures, and necessary eyewear. 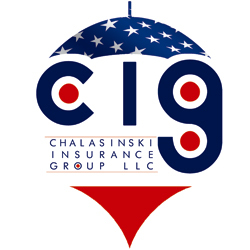 If you are interested in hearing insurance, or insurance coverage in general, please call Tom Chalasinski, president of Chalasinski Insurance Group, at 440-838-5383 for more information. Tom is more than happy to assist you in building a custom insurance plan that will fit your needs and budget.